Hello my beautiful friends. If you’re looking for ways to clean up your beauty routine and add more cruelty-free products in your daily life, you’ve come to the right place. 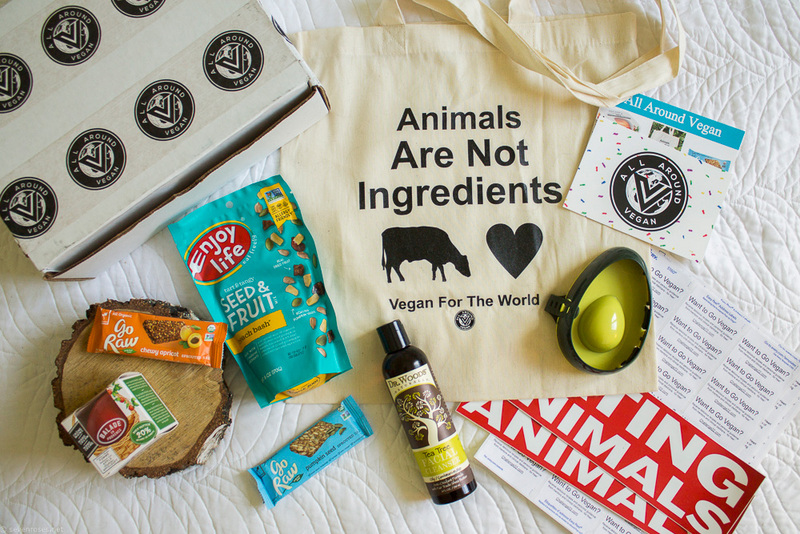 Did you know that most of the popular subscription boxes still contain products tested on animals? Even if it’s 2019, green beauty is on the rise and there’s plenty of alternative methods – not to mention animal testing of beauty/skincare products is being banned in more and more countries as we speak. And if this doesn’t bother you, know that the average woman uses 168 chemicals in her personal care every day and up to 70% of what we put on our skin gets absorbed into our body. Luckily, there’s lots of Cruelty-Free Subscription Boxes which are an amazing opportunity to discover new brands/products if you are new to the cruelty-free/Vegan lifestyle. 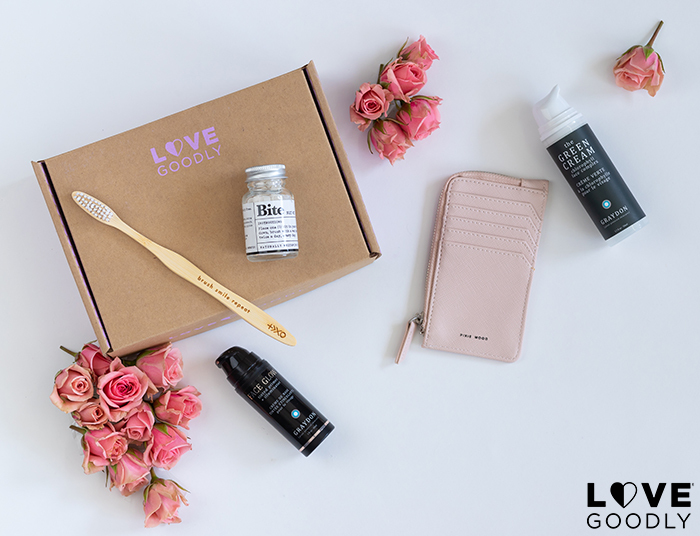 Not only do they feature ethically made beauty and lifestyle products but most of these subscription boxes also donate a portion of their proceeds to worthy charities. 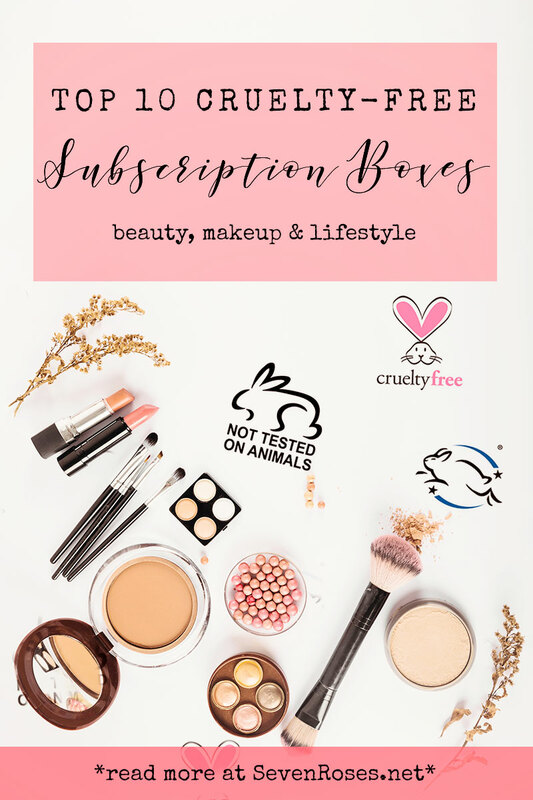 Whether you’re a subscription box addict or are simply looking to replace your current non-cruelty free products, there’s options for every budget: here are my Top 5 Cruelty-Free Subscription Boxes that make it easy to discover the best natural & cruelty-free products. 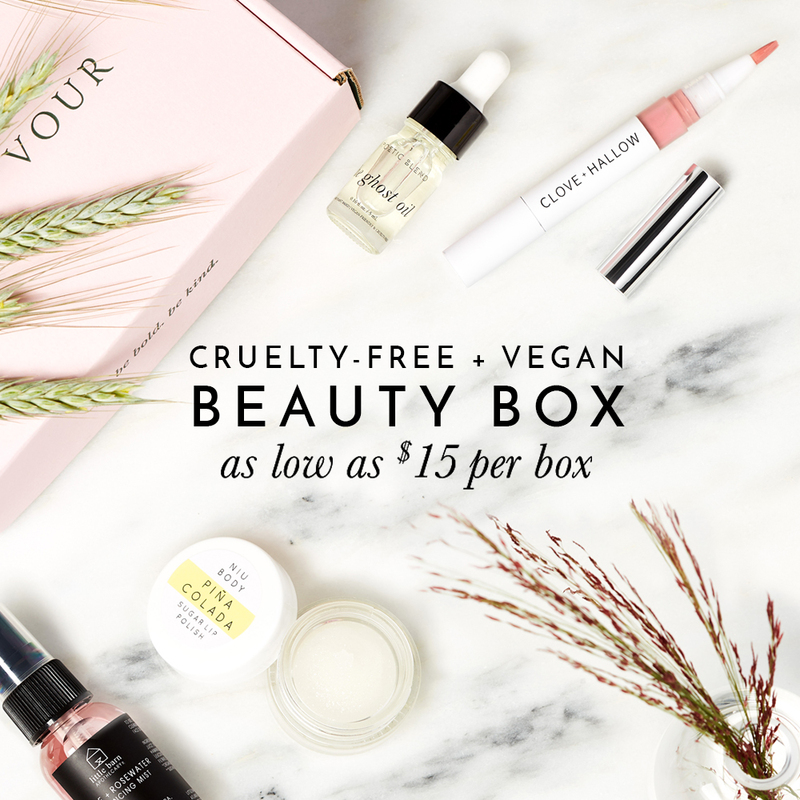 The cruelty-free box par excellance loved by Vegans, beauty gurus and beauty magazines’ editors alike, Petit Vour’s luxury-curated, cruelty-free beauty box helps you create or elevate your beauty routine. Each month you’ll receive a mix of 4 products ($45-$60 value) of non-toxic and plant-based makeup, hair care, body & skincare curated to match your beauty profile, for as low as $15/box. Oh how I adore this box! 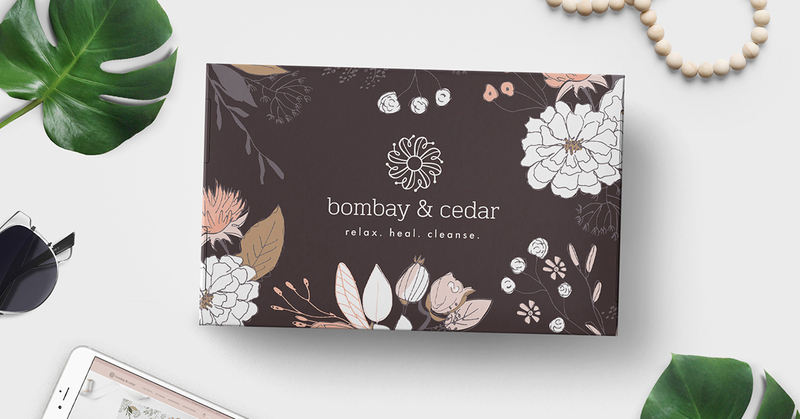 Bombay & Cedar is an aromatherapy, beauty, wellness & lifestyle subscription box featuring vegan and cruelty free full size and deluxe sample size products including essential oils, diffusers, skincare, books, snacks & other products carefully hand curated for the discerning woman who lives a life inspired. You can choose between 2 formulas: “THE PREMIUM” (8 – 10 Full And Deluxe Size Products in Every Box for a retail value of over $100 every month) or “THE MINI” ( 5 – 7 Full And Deluxe Size Products in Every Box for a retail value of over $60 every month). 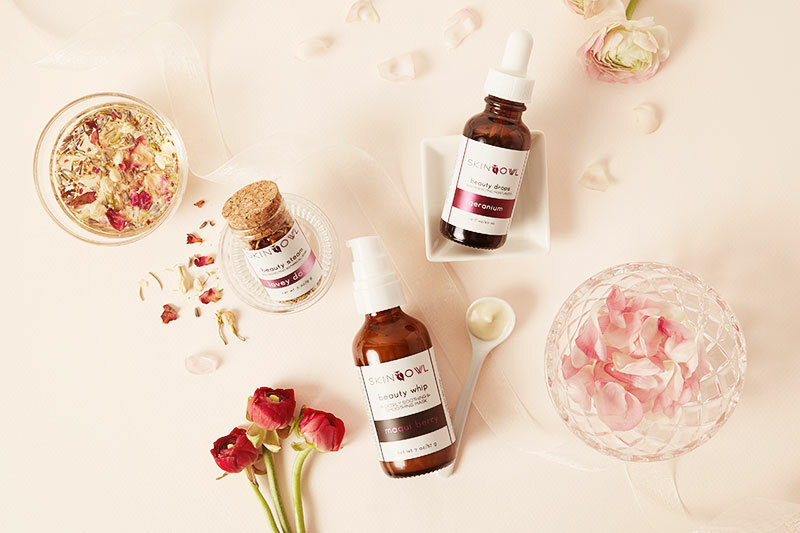 Receive and discover new essential oils and high quality vegan & cruelty-free beauty & wellness products to heal from within. No contracts. Cancel Anytime. Every other month receive 4-6 full-size products including beauty and skincare, a style or home accessory, plus an occasional healthy snack and wellness item. The brands they carry are always cruelty-free, nontoxic and vegan, and share values like organic, non-gmo, and eco-friendly. The boxes offer great value – each Essential box always has a $80+ retail value and each VIP box a $110+ retail value. Also, you can shop for individual products on their online store. 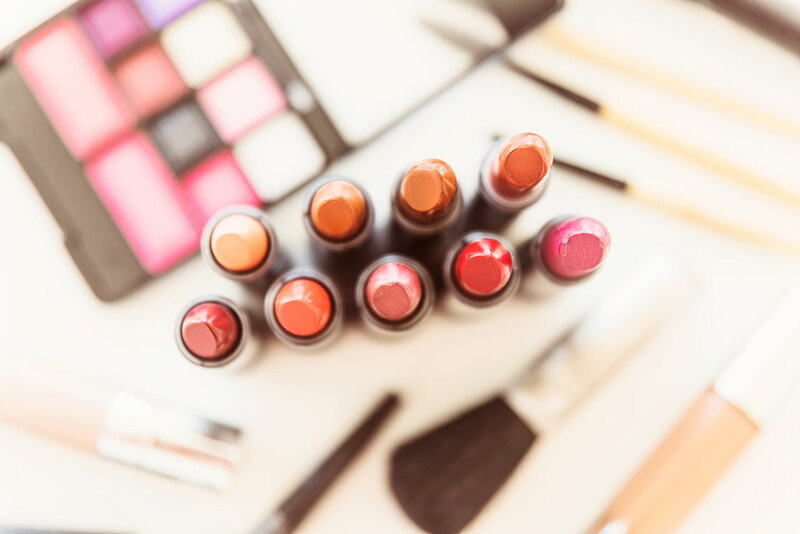 They also have a list of banned ingredients which you will not find in any of the products that they sell as they are working hard to clean up the beauty industry from all the harmful chemicals. Also, each box always supports a cause including Farm Sanctuary, Cure Cervical Cancer, Beagle Freedom Project, and Paw Works. 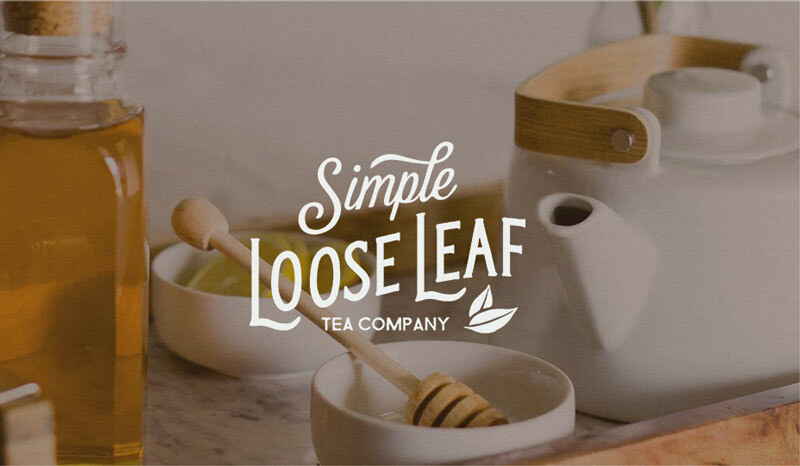 This beautifully curated, ingredient-conscious subscription box for beauty enthusiastsincludes 4 to 5 “Earth Activated”, healthy, cruelty-free, organic beauty products. All the items are Gluten-Free and Vegan. The aim is to help you achieve luminous, glowing and healthy skin. 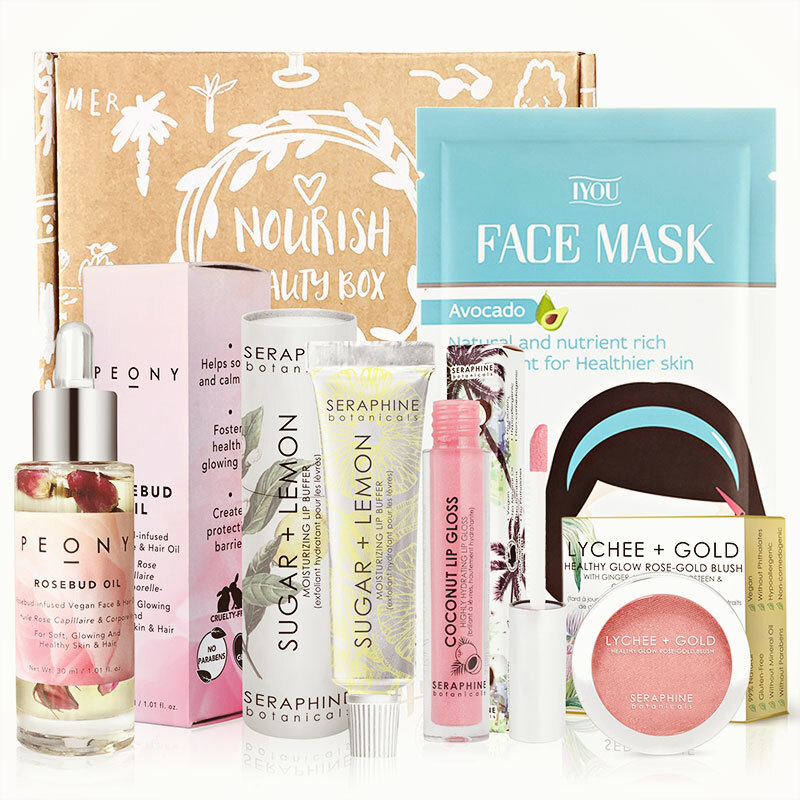 The marvelous Detox Box has a different concept than the other ones: it’s a monthly box curated by The Detox Market and it features one brand each month to get a complete routine of cohesive products and clean, organic, natural ingredients. Each month you’ll receive products that are universal and exceptional—you know, the “holy grails”. Products that will have people complimenting your skin, and asking what you’re doing. Each box contains at least $90 of green beauty (usually much more) and you earn “Detox points” for each purchase, towards discounts and coupons. Special bonus: right now, get 10% off everything with coupon code “TREAT”. The All Around Vegan box is a cool concept which I already told you about in my “All Around Vegan Box unboxing + 10% off” post. I love it because every month it includes a unique collection of vegan food, bath & body products, lifestyle items, & more! It’s curated to brighten your day, bring excitement to your lifestyle, and ultimately, spread the gift that is veganism. The All Around Vegan Box is the perfect combination of pleasure and commitment. This fun and useful box for eco-conscious moms contains a mix of organic, natural and eco-lifestyle products including beauty, bath, pregnancy, baby, home and snack – all thoughtfully chosen for moms and their babies based on the due date or child’s birth date up through age 4. Every item in the box is free from chemicals and toxins, made by the very best small brands. Each box is guaranteed to contain 4-5 products and a minimum of $45 in retail value. While in the city of Rishikesh, founder Ryan Magill watched the locals prepare for the annual Diwali festival, the festival of lights. He decided to bring that passion, gift giving and positive energy of the candle celebration home with him and found a way to unite the concepts of candles, charities and community: Karma Candle Club was formed. It was his goal to not only bring the best quality candles to people across the county but to promote a sense of charity and community. 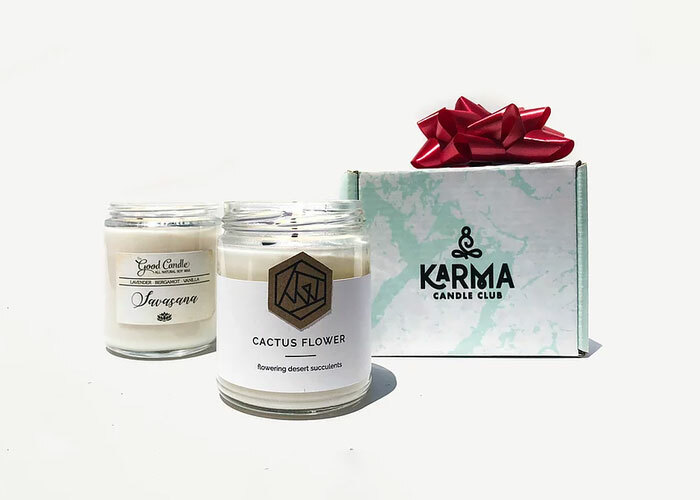 With every box sent, Karma Candle Club donates to a charity of the subscriber’s choosing. All candles in the Karma Candle Club boxes all natural, clean burning, lead free and vegetable based. 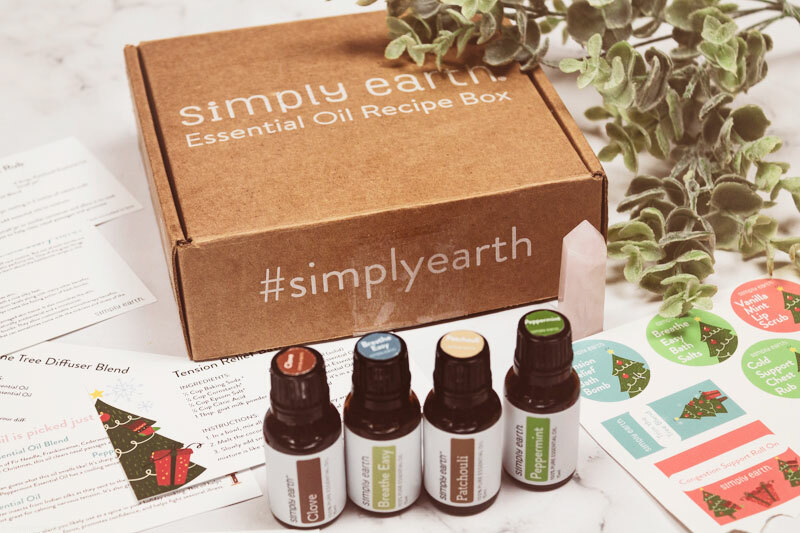 Each month receive a box filled with essential oils and all the tools and information you need to implement them in your daily life with beauty, health and home DIY projects. This box allows you to replace countless items in your medicine cabinet, cleaning products, and synthetic fragrances, for a toxic-free home. You can check my unboxing post here. 13% of their profits go to help fight human trafficking with “Fighting Human Trafficking”. Special bonus: if you click here and sign up using my code SEVENROSESFREE you will receive a huuuge Big Bonus Box (valued at around 50$), an Essential Oil Recipe box, and a $20 e-gift card towards future purchases. I hope you guys enjoyed my Top 10 Cruelty-Free Subscription Boxes post and that it has inspired you to check out non-toxic, cruelty-free beauty, makeup and lifestyle alternatives.